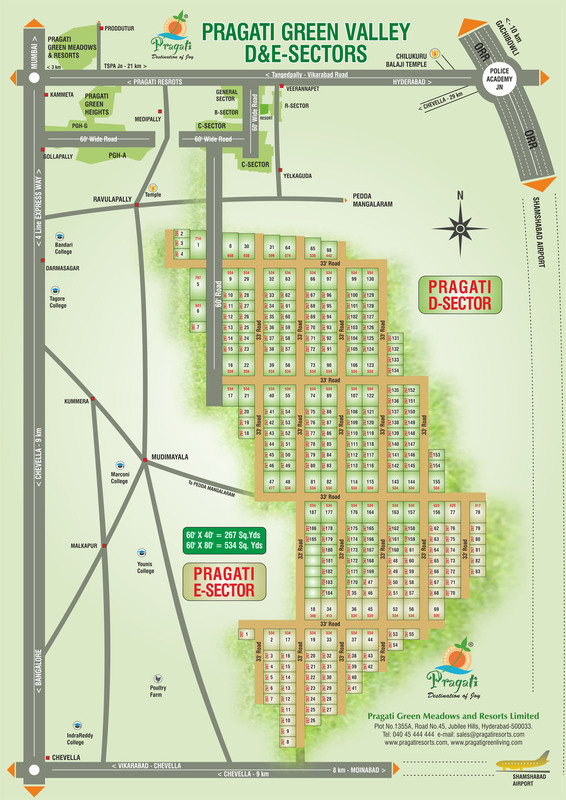 This venture was started with 2500 Residential plots, having around 2300 members. 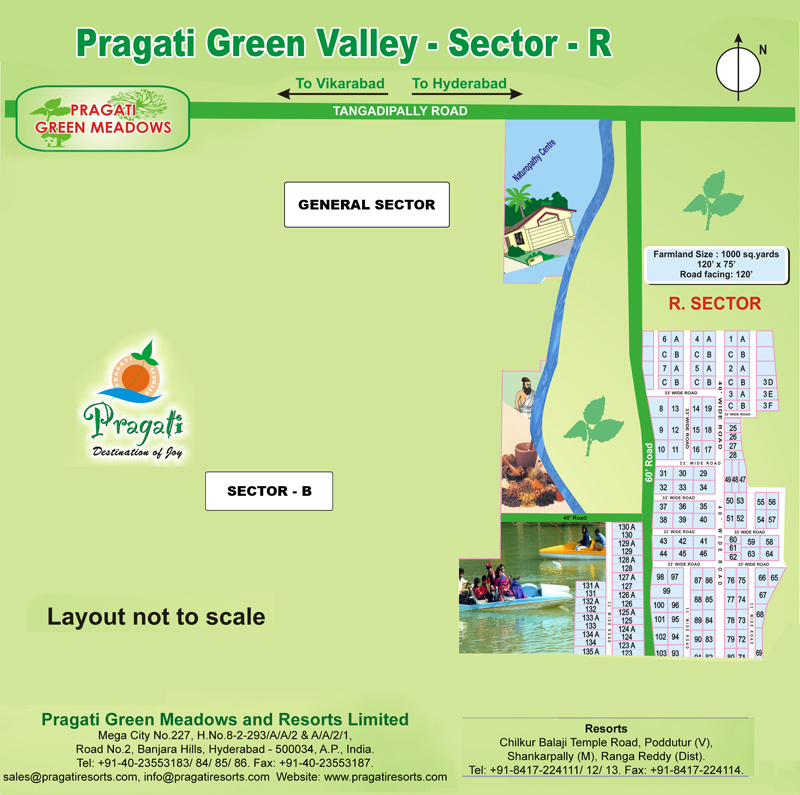 The venture was kept for Marketing and it is the biggest venture with 4 layouts. This venture is located at the very elevated location and gives a overall view of Hy- Tech city. 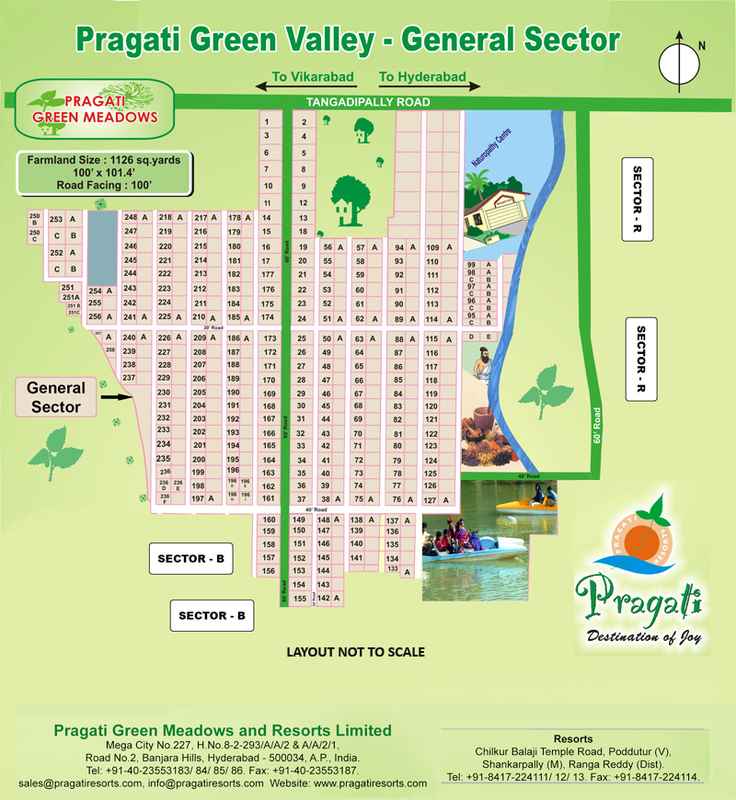 Pragati group are now the pioneering trendsetters in uniting 'lush greenery' with 'ultra modernity' the potential health and harmonious combination and the penultimate dream of every city dweller who passionately believes in great modern-healthy lifestyle. A good life devised by nature and promoted by Pragati. 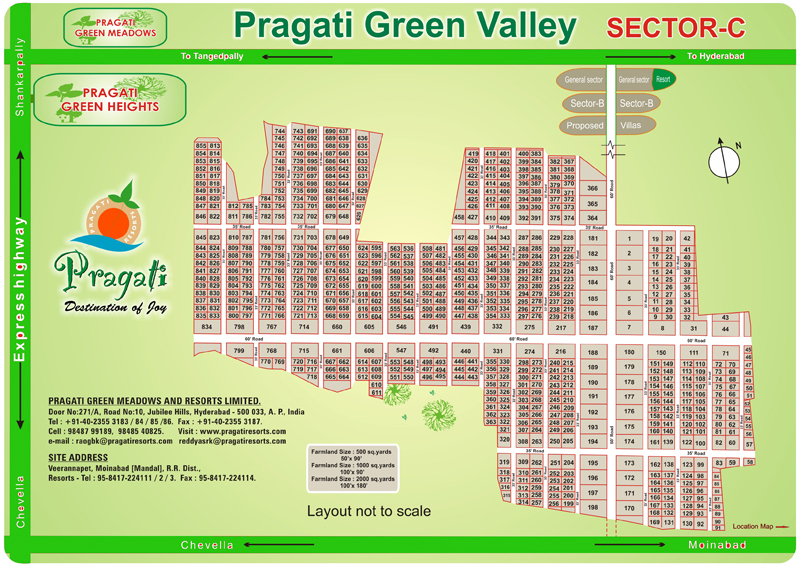 This venture was started in the year 2002 with 1000 Residential plots. This venture was kept for Marketing from 2002 and was sold out in 2002 year. Situated close to BalajiChilkur Temple with proposed access from the Bijapur Highway. 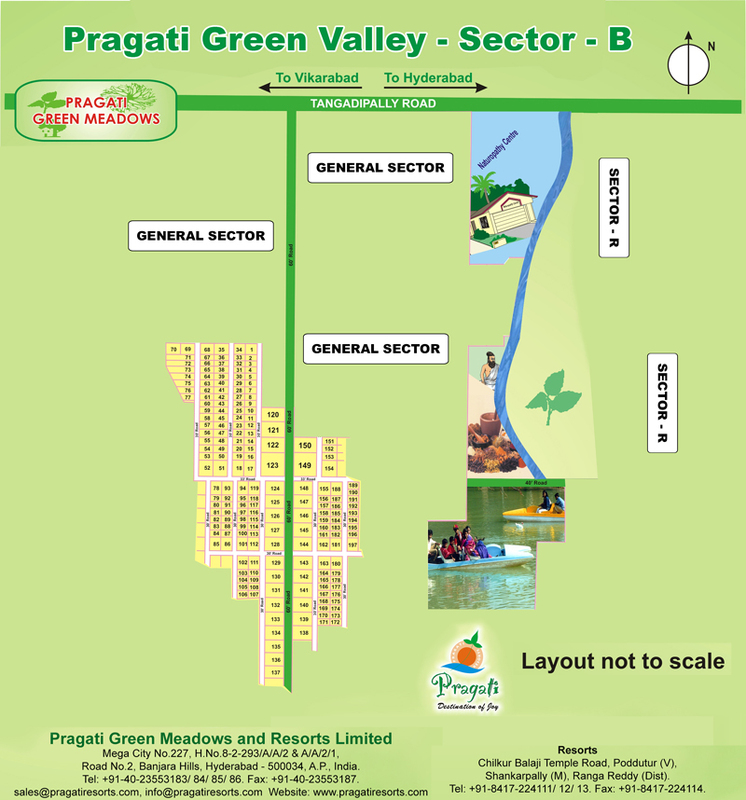 Pragati Green Valley C sector - Has 855 Plots (Plot Sizes - 500, 1000 and 2000 Sq. Yards).